Natural serenity, unostentatious refinement and interplay of light and shadow are all hallmarks of Japanese residential design. The selection of houses reflects the many changes in the dynamics of the new Japanese society, including an aging population and the desire to remain childless; while others embody creativity and individuality. Throughout, a return to traditional materials and design elements is married with such present-day requirements as minimalism, flexibility, energy efficiency and electronic gadgetry. Each of these homes is an exquisite representation of the integrity consistently found within Japanese residential architecture, both in new construction and old. Photography: Nacasa & Partners Inc. This book was specially produced as an information sending tool for a Chinese market where rapid economic growth was accomplished in the first independence publication book where it went from taking a picture to the edit with Nacasa and Partners Inc. 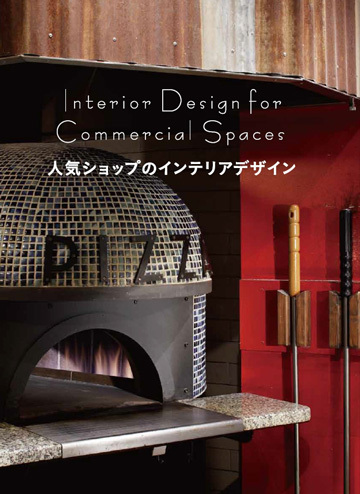 This book introduces 62 projects, including office, restaurant, club, bar, cafe, boutique, shopping center, Wedding Hall, hotel, inn, beauty parlor, clinic and so on, that were designed by about 30 Japanese interior designers. And it is introduced that they have expanded the place of activity to the world such as not only Japan but also New York and Shanghai and many places. Photographs: Nacasa & Partners Inc. Distributor: FUSION TRADING CO., LTD.
*As for sales in Japan, it is undecided now. The population of 12 million people or more is held, and it is a large city and Tokyo where the ratio of the latest building in the world is the highest. It is established as the city the reference point of a designer all over the world. It was rebuilt to the modern city in less than no time though two catastrophic damages named Great Kanto Earthquake and World War II was received in the 20th first half of the century. A complex urban structure is formed by the violent economic development done after the war, a gorgeous in modern days skyscraper extends, and the store in the fashion brand and the restaurant, etc. to which it goes in state-of-the-art of the fashion crowds each other. 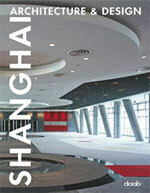 In this book, it introduces 33 projects the skyscrapers, stores, hotels, boutiques, beauty salon ect. that symbolizes construction and the design in Tokyo. Japanese residential design has evolved as a distinctive response to social, political, and climatic pressures-along with the powerful individual ideas of its architects. Japan Houses presents 26 of the country's finest contemporary houses with the creativity of Japan's leading architects and designers and their innovative use of building materials, spatial concepts, and aesthetic surprise. Mr. Hashimoto Yukio has accomplished over 200 design projects since the establishment of his company "hashimoto yukio design studio Co., Ltd." in 1997. He is also a lecturer at the Women's College of Fine Arts and Aichi Professional University of Fine Arts and Music, and has also won several design awards. His design projects demonstrate a high degree of respect to culture, tradition, and nature; and yet at the same time-futuristic. 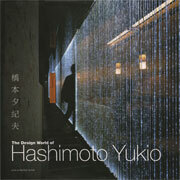 This book provides an insight of his design world with over 50 projects. As the entrance of Asia, Shanghai's economic growth bewildering in this short term of about ten years is accomplished. This vast metropolis of 14 million inhabitants has been converted by the social and cultural events that have marked its history into the epicenter of a wide array of Western and Oriental influences. This book introduces 34 projects, including a lot of skyscrapers that symbolize construction and the design in modern Shanghai and exotic stores. Japanese restaurant exist in many places in the world. Contrary to the popularity, there are some strange and uncomfortable things in the restaurant design. The challenge of contemporary restaurant designers in Japan is to introduce innovative and exciting solutions to designing dining spaces, through expressing the fundamentals of Japanese architecture and design in new ways that suit today's restaurant goers. 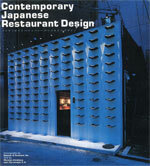 In this book, it introduces 28 example restaurant of an active 12 designers now in Japan. Seven of Japan's fore more interior architects are reshaping basic concepts of how modern Japanese eat, work and shop, working in collaboration with a new generation of young entrepreneurs. 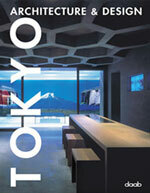 This book introduces the seven designer's creativity in 34 shop spaces, salons, restaurants, bar and spas. Mr. Yoshihiro Kato is an architect & interior designer, based in Nagoya city. Including restaurants, shops, residences and some product design, his many projects introduces in this book and it is validated his various work how to produce in any ideas and techniques. This book will also be helpful to students who study architecture and interior design is not only a professional designer. This book is a collection for described easily with photographs about the interior and exterior design of shops and restaurants that has attracted the topic in the design industry. Monthly Magazine "Nikkei Design" selected the projects that they should be noted, like as well-known designer's works with their creativities and ideas. 50 projects, including restaurants, merchandise shops, hotels, wedding hall has been posted. All photographs have been taken by Nacasa & Partners. Publisher: Nikkei Business Publications, Inc. 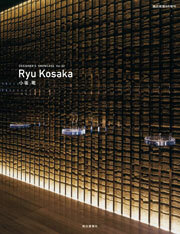 This is the first memorial book of Mr. Yasumichi Morita who is a leading interior designer at world wide. He has already worked for over 500 projects, and the book introduces 81 projects, including restaurants, bars, hotels, residences and offices. You can see a lot of his philosophy. 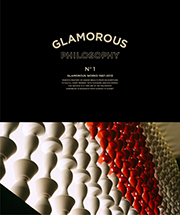 More info: GLAMOROUS co., ltd.
"Daikanyama T-SITE" which opened at the end of 2011 is the new lifestyle space where TSUTAYA targeted adults such as 60 generations in 50s. In this book, it is interviewed about culture such as books, movies, musics that built each sensitivity by key persons of the same generation leading various fields. And also, our president, Mr. Takeshi Nakasa appeared in it.In addition, the world masterpiece which the TSUTAYA BOOKS' concierges recommend and the introduction of the Daikanyama T-SITE neighborhood are reported in the book. 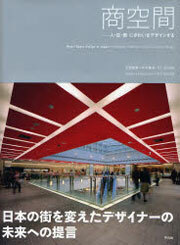 "DESIGNER'S SHOWCASE" was issued by Shotenkenchiku, monthly magazine of shop design and interior design. The third issue features Mr. Akihito Fumita who is much talked about his recently work "Nissan Gallery Global Headquaters". 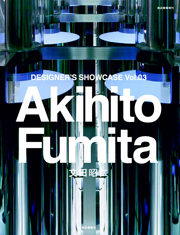 Mr. Fumita designed many well-known projects, like as showroom, boutique, beauty salon, office, residence and products. It introduces an interview and his much works and presses his design extract and essence. 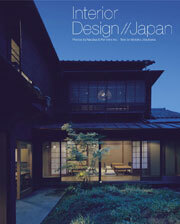 "DESIGNER'S SHOWCASE" was issued by Shotenkenchiku, monthly magazine of shop design and interior design. 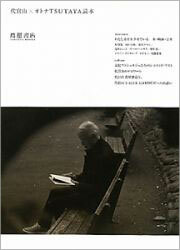 The second issue, Mr. Ryu Kosaka 's design works, was just published after the first issue by Mr. Yukio Hashimoto. Mr. Kosaka / A.N.D. 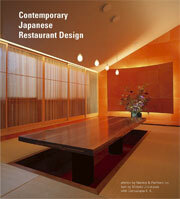 designed many well-known projects, like as "Mandarin Oriental Tokyo Main Dining", "The Luigans in Fukuoka". 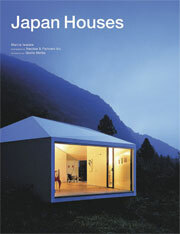 It introduces about 50 projects, including spaces and projects, and his interview for his design mind. 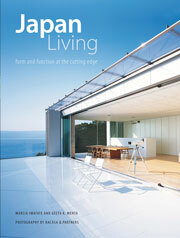 Mr. Takeshi Nakasa / Nacasa & Partners wrote the introduction. The new visual series "DESIGNER'S SHOWCASE" was issued by Shotenkenchiku, monthly magazine of shop design and interior design. 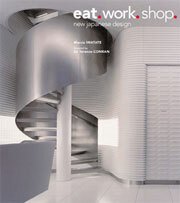 It is a special collection for interior designer's works. 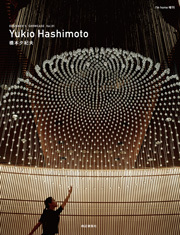 Mr. Yukio Hashimoto was published as the first issue. It is introduced his important design works, including the Peninsula Tokyo, Mitsuo Aida Museum. And also, his essence and the design philosophy are explained through his interview article. The new type of retail spaces in Japan, like as "Ekinaka" means inside train station and "Food court", has been generated by the changing in age and consumer needs. So, it is attracted in the world. In the transfiguration, Mr. Teruhisa Matsumoto has been taking an active part as a retail space designer for 30 years. He has worked on a lot of retail spaces, like as shopping center, station building, boutique, restaurant and so on. 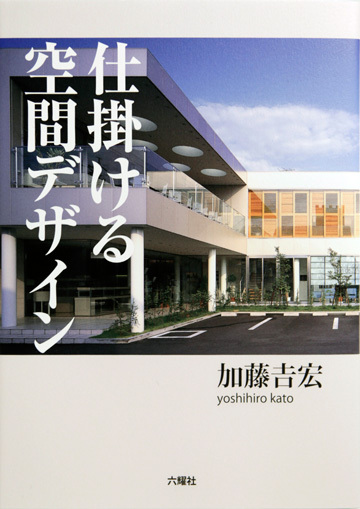 In this book, it introduces the retail space creation with many photographs and illustrations, and the message to the next generation who creates retail space is recited. This is the new line up as Japanese version and soft cover book of "Contemporary Japanese Restaurant Design" that has a good sale. COMPLEX is Universal Furniture Supply with supported by a lot of professionals. It took two and half years to work on our new catalogue. There are 4 categories; DEPRESSION MODERN, TRICK, RUBBISH, and first time appearance ever in Japan DUNBAR. Yoshihiko Mamiya (infix) who starts store design in the latter half of 80's, and has made project of 500 or more succeed up to now in the Japanese whole country. This book is the work collections of bilingual specifications by 100 as restaurant, cafe, bar, boutique, hair salon, live house, and club, etc. store photograph and explanations (with English translation). Copyright © 2019 Nacasa & Partners Inc. all rights reserved.